Let’s take a look at how this happened, and place blame right where it belongs – in the misinformation, pseudoscience, and outright lies of the anti-vaccine religion. Measles, also known as rubeola (and not to be confused with rubella) is an infectious disease caused by the measles virus. It is extremely contagious, easily passing from one individual to another. Subacute sclerosing panencephalitis (SSPE), a progressive brain inflammation that requires a lifetime of medications for treatment if caught early enough. About 1 in 609 children less than 12 months old who contract measles develop SSPE. About 1 in 1000 will develop acute encephalitis which leads to permanent brain damage. About 1-2 out every 1000 children who contract measles will die. Furthermore, measles can suppress the immune systems for months, and this can contribute to chronic bacterial infections like otitis media and bacterial pneumonia. Measles is not a trivial disease despite the ridiculous claims of the anti-vaxxers – it can cause serious long-term neurological damage and death. And it all can be prevented with a simple vaccine. Up until 1998, the MMR vaccine was uncontroversial. It was considered a critical part of our children’s health, reducing the risk of a dangerous and, often deadly, disease. Then that cunning fraud, Andrew Wakefield, published his fraudulent and ultimately retracted study that falsely claimed a connection between the MMR vaccine and autism spectrum disorder (ASD). Despite Wakefield’s own malfeasance, he had serious competing financial conflicts of interests while involved with his fraudulent research, the autism myth remains. Let me be blunt again. Robust scientific evidence has established that the MMR vaccine, or any vaccine, is not linked to autism. Period. Full stop. End of story. The lack of a link between vaccines and ASD is settled science. This has been established by systematic and meta-reviews, clinical trials, and huge cohort and case-control epidemiological studies. This lack of a link is represented by an overwhelming scientific consensus. Although Wakefield’s research has been thoroughly and repeatedly discredited by hundreds of peer-reviewed articles, he continues to push the myth. As a result of his own self-promotion, such as the fraudumentary Vaxxed, and his continued misinformation broadcast all over the internet, parents are frequently triggered by the worry that the MMR vaccine causes autism. And this has led to lower vaccine uptake in some areas. But there are other fools who have put children of the world at risk of serious harm, including death, by pushing misinformation and dangerous lies to parents trying to find reasonable information about vaccines. There’s Ginger Taylor, who pushes pseudoscience and cherry-picked nonsense to claim that vaccines do harm. There’s Del Bigtree, producer of the Vaxxed fraudumentary, who is clueless about vaccines. Then there’s Robert F Kennedy, Jr who lacks any credibility regarding vaccines, while worming himself into Donald Trump’s favor in trying to create a “vaccine safety commission.” There are the multi-retracted “researchers,” like Shaw and Tomljenovic, who publish bad science in bad journals trying to link vaccines to anything. All of these people should be held culpable for the European measles epidemic. Of course, I could spend 10,000 more words listing out all the fools in the anti-vaccine religion that push lies that lead to deaths of children. But to save time, we’ve created a list of science-denying mouthpieces of the anti-vaxxers. According to a systematic review, considered the pinnacle of the hierarchy of biomedical research, the incidence of serious adverse events due to MMR vaccine is about 1 in 1,000,000. According to another review, the incidence of death due to MMR vaccine is much less than 1 in 10,000,000. In other words, the risk of lifetime harm or death from measles is 1,000-10,000 times higher than from the MMR vaccine. That is simple math that the loudmouthed vaccine-denying crackpots seem to miss. No, I am not saying that vaccines are perfectly safe – only the anti-vaccine religion believes that claim. But it’s clear that vaccines are orders of magnitude safer than the diseases they prevent. There has been a huge outbreak of measles in Europe during the first half of this year. This included the deaths of 37 children, teens, and adults along with unknown numbers of children with permanent, disabling neurological damage. Every single one of those cases of measles and every single death could have been prevented by the extremely safe and effective MMR vaccine. There is simply no robust and viable evidence supporting the belief that vaccines are related to autism. It is foolish and dangerous to put children in harm’s way because of ignorance and science denial. Why would any parent put their children at risk of death from measles by avoiding the MMR vaccine? It doesn’t make any sense. Maglione MA, Das L, Raaen L, Smith A, Chari R, Newberry S, Shanman R, Perry T, Goetz MB, Gidengil C. Safety of vaccines used for routine immunization of U.S. children: a systematic review. Pediatrics. 2014 Aug;134(2):325-37. doi: 10.1542/peds.2014-1079. Epub 2014 Jul 1. Review. PubMed PMID: 25086160. Miller ER, Moro PL, Cano M, Shimabukuro TT. 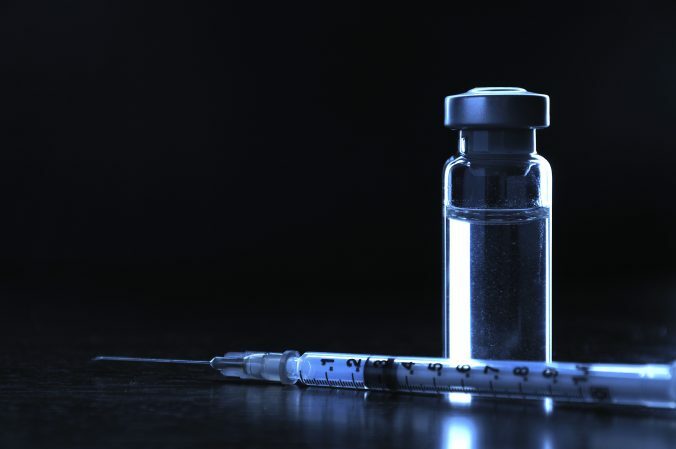 Deaths following vaccination: What does the evidence show? Vaccine. 2015 Jun 26;33(29):3288-92. doi: 10.1016/j.vaccine.2015.05.023. Epub 2015 May 23. Review. PubMed PMID: 26004568; PubMed Central PMCID: PMC4599698. Wakefield AJ, Murch SH, Anthony A, Linnell J, Casson DM, Malik M, Berelowitz M, Dhillon AP, Thomson MA, Harvey P, Valentine A, Davies SE, Walker-Smith JA. Ileal-lymphoid-nodular hyperplasia, non-specific colitis, and pervasive developmental disorder in children. Lancet. 1998 Feb 28;351(9103):637-41. Erratum in: Lancet. 2004 Mar 6;363(9411):750. Retraction in: Lancet. 2010 Feb 6;375(9713):445. PubMed PMID: 9500320. Wendorf KA, Winter K, Zipprich J, Schechter R, Hacker JK, Preas C, Cherry JD, Glaser C, Harriman K. Subacute Sclerosing Panencephalitis: The Devastating Measles Complication That Might Be More Common Than Previously Estimated. Clin Infect Dis. 2017 Jul 15;65(2):226-232. doi: 10.1093/cid/cix302. PubMed PMID: 28387784. Next PostNext Chronic Lyme disease – is there any scientific evidence supporting it?